When the term “blockchain” is used, people tend to think of the “dark web” and potentially nefarious activities; or maybe they think of cryptocurrencies like Bitcoin. 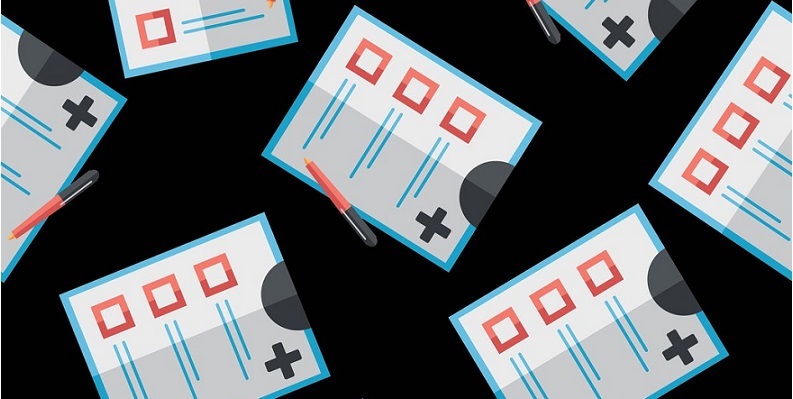 However, blockchain technology could perhaps alleviate health professionals from the ever-expanding volume of paperwork they are forced to maintain. Increasingly, healthcare professionals feel like that they are becoming data entry clerks, with the promise of modern EHRs streamlining their workload not materializing. In fact, many physicians feel that the new HER standards are a burdensome recording activity that desperately needs an overhaul. Healthcare facilities have been moving to a new era of standardization and high-quality health care. But while federal laws and incentive programs have made health care data more accessible, the vast majority of hospital systems still can’t easily (or safely) share their data. Due to this fact, according to studies from the Mayo Clinic, doctors are now spending more time typing than talking to patients, with physician burnouts increasing from 45 to 54 percent from the years of 2011 and 2014. However, one solution to this problem is the rise of blockchain technology. While blockchain technology is best known for its use in currencies like Bitcoin, the technology is really just a tool that maintains secure data in a distributed, encrypted ledger. At the same time, it also controls who has access to that ledger. Instead of having one central administrator who acts as a gatekeeper to data, there is a list of digital transactions with one shared ledger, but this process is spread across a network of synchronized, replicated databases visible to anyone with access. This provides blockchain transactions with unprecedented security benefits. Hacking one block in the chain is impossible without simultaneously hacking every other block in the chain’s chronology. This level of security and scalability makes this technology incredibly appealing to the doctors and hospitals that need secure access to a patient’s entire health history. A major problem today with EHRs is that they are basically a “snapshot” of a patient at that moment. But with blockchain inspired EHRs, each prescription is like a deposit, and when a doctor discontinues a medication, this acts like a withdrawal. By looking at a blockchain ledger, a health professional would not have to investigate all of the previous deposits and withdrawals, they would only have to see the most recent balance. Just as important for HIPAA requirements and data security, medical facilities and pharmacies would not have to send data back and forth to see it. They would merely have to point to the same common “health” ledger. This concept may sound radical, but in January, the Food and Drug Administration announced a research partnership with IBM Watson to find ways to safely share data from EHRs, clinical trials, genetic sequencing, and even mobile wearable devices using the blockchain approach. The technology is still in its infancy when it comes to health care applications, but in a recent poll of health care executives, IBM found that 16 percent of them intend to implement some sort of blockchain solutions by the end of this year. So, the day may arrive when EHRs are connected to a common blockchain inspired database, but only time will tell. As a company that provides revenue cycle management services for healthcare providers, we will follow any new developments regarding blockchain technology. If you have questions about this topic or general medical billing quesitons, please CONTACT US.